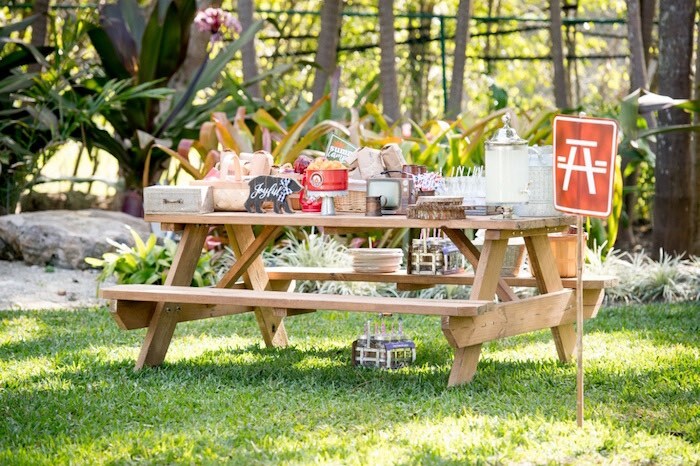 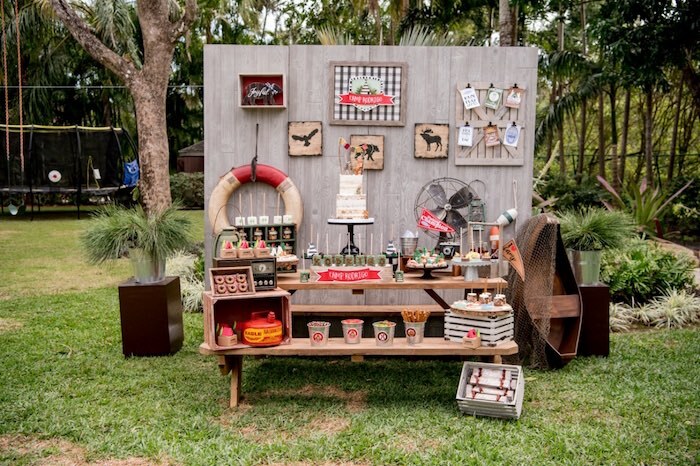 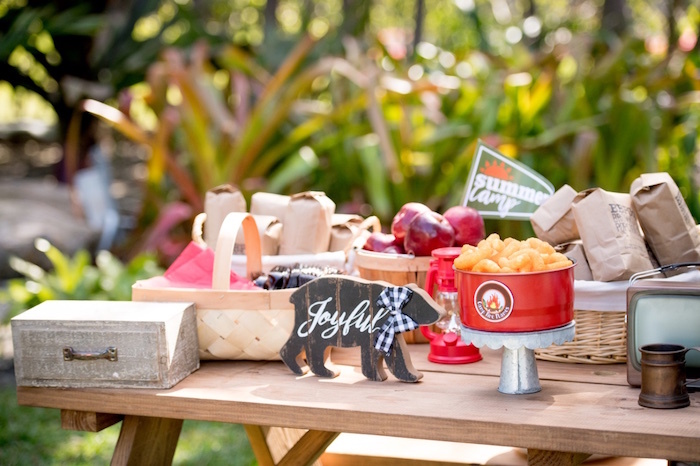 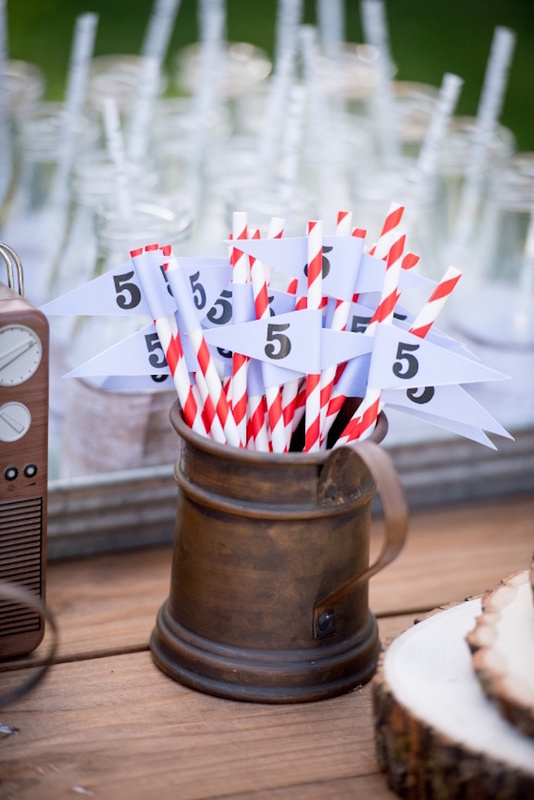 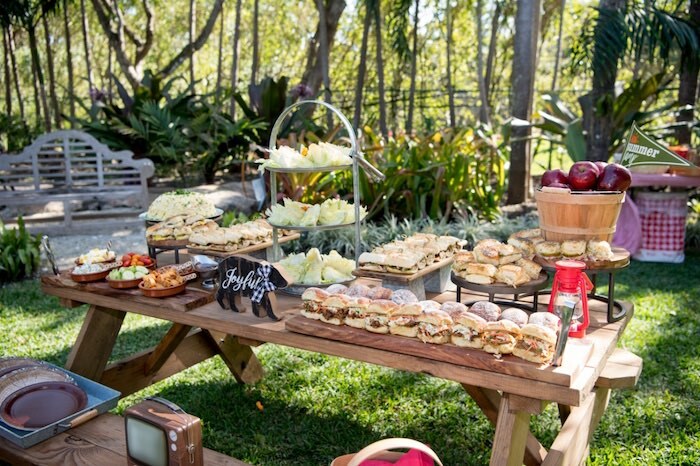 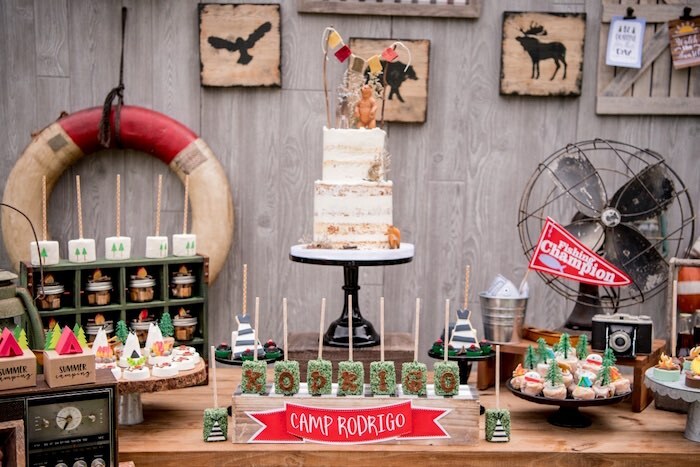 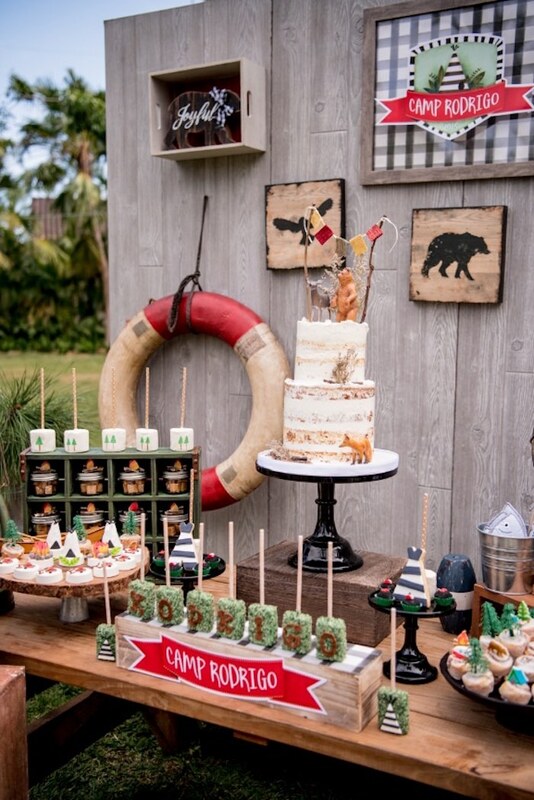 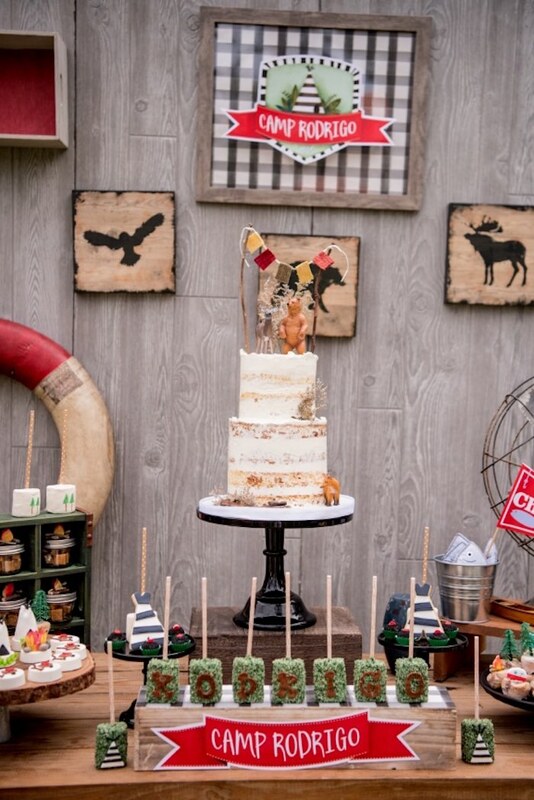 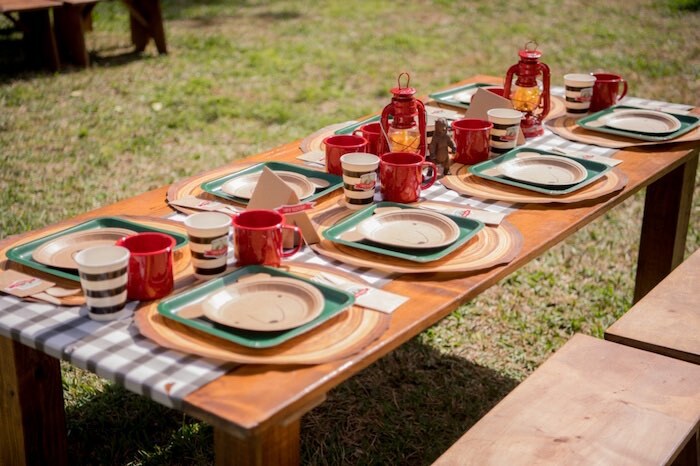 Grab your bundle and roll your tent, this Rustic Camping Birthday Party by Paola Vergara of The Flower Atelier, out of Coral Gables, Florida, is absolutely adorable! 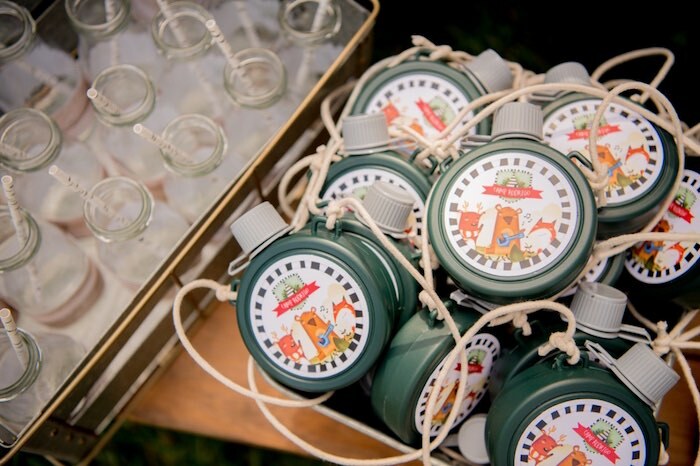 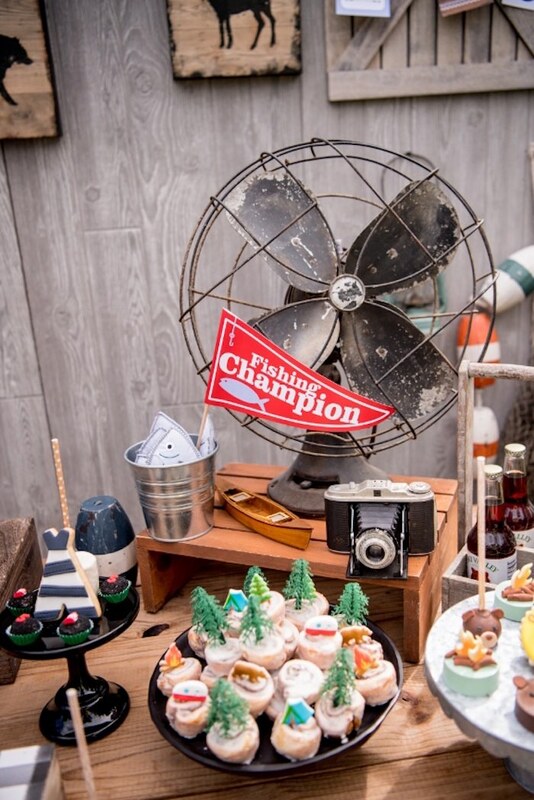 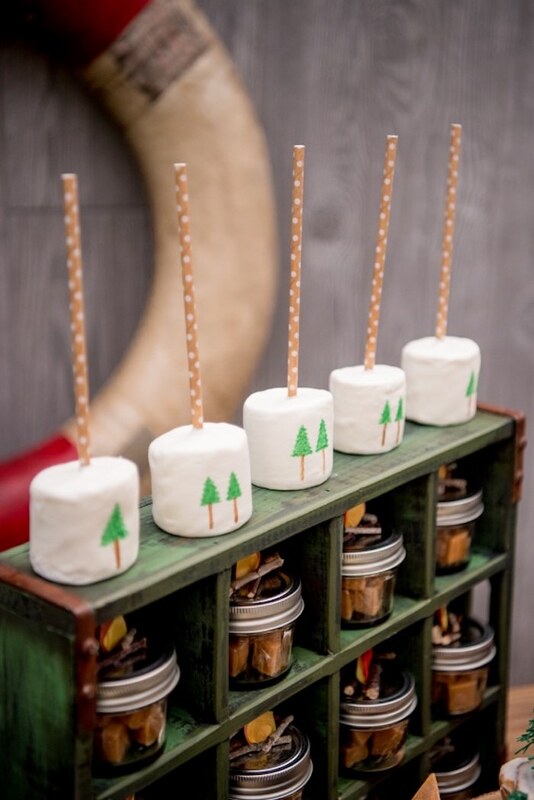 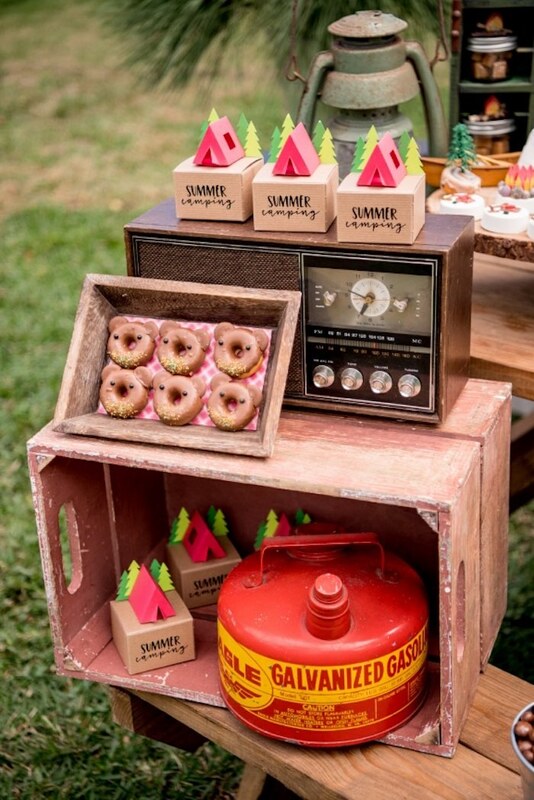 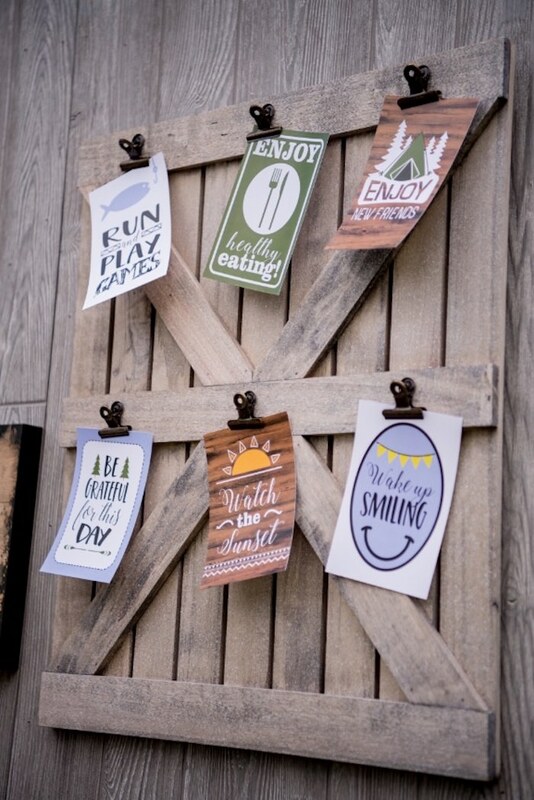 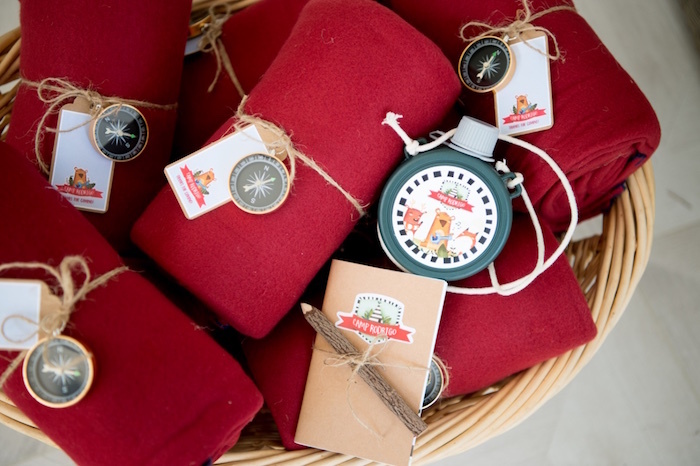 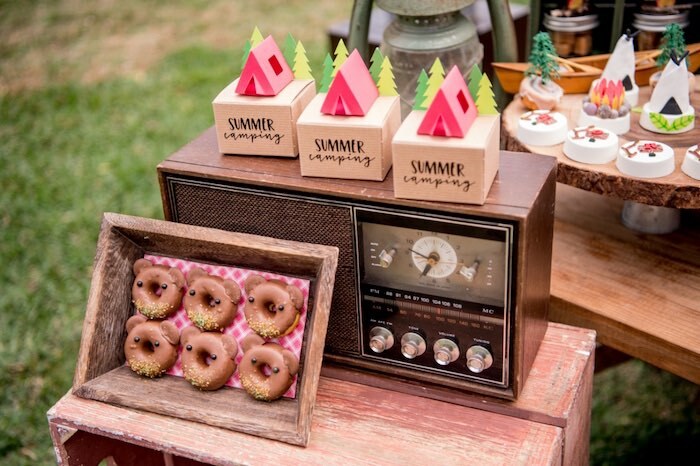 Filled with details so rustic and cute, this camping party is packed with ideas to track down and loot! 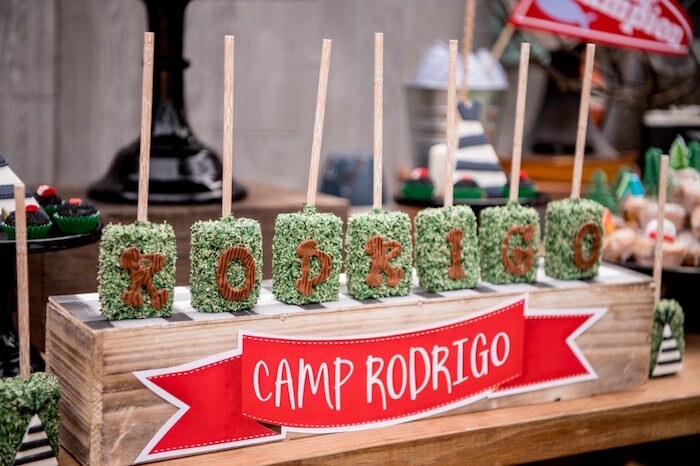 Paola’s party snippet- “A Happy Group of Campers! 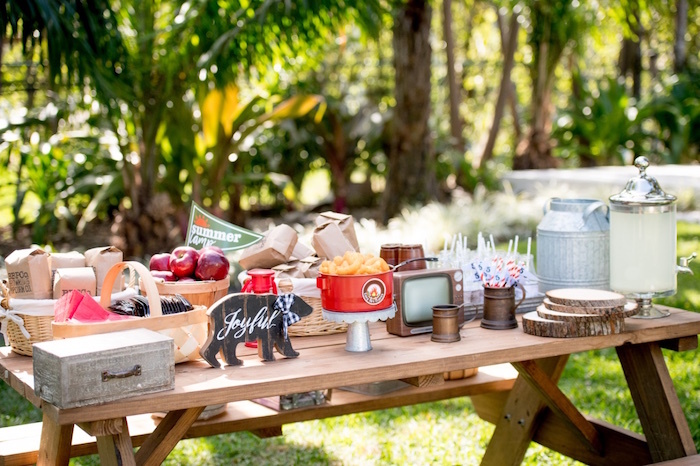 A perfect setting to enjoy a sunny morning in Coral Gables. 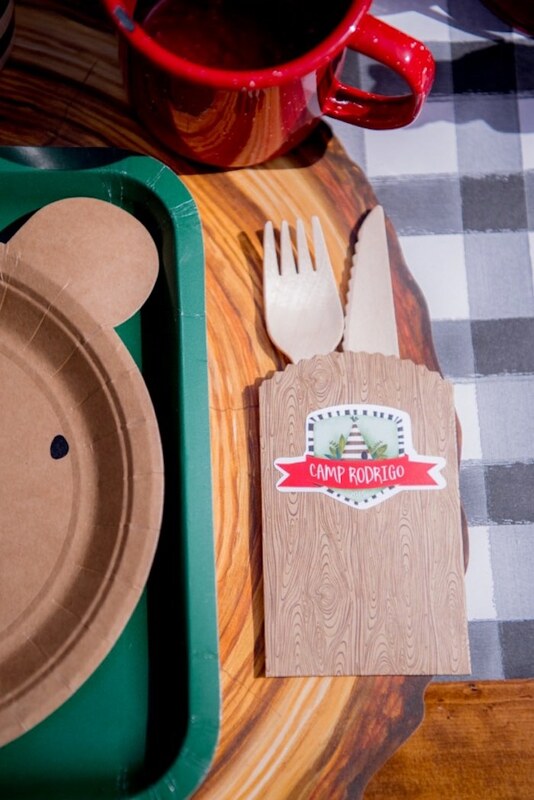 The kids enjoyed a full immersion into camping because the garden had different activity areas. 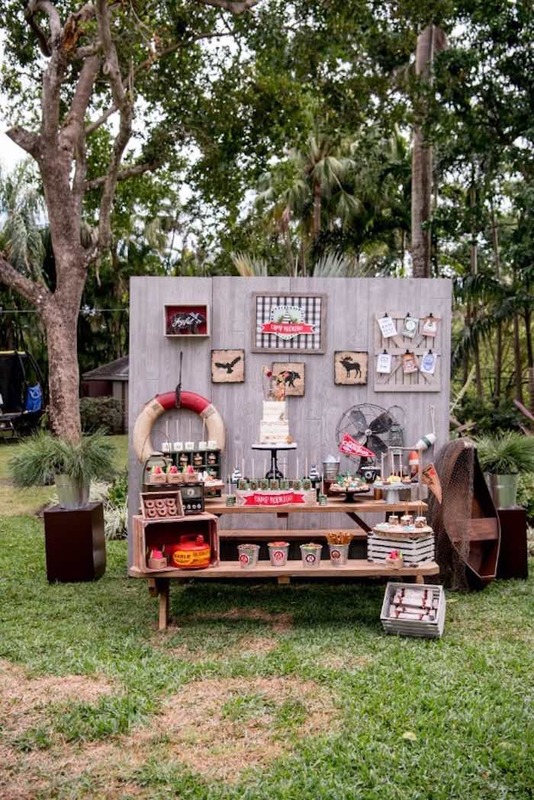 For the decor, we added a lot of natural wood elements. 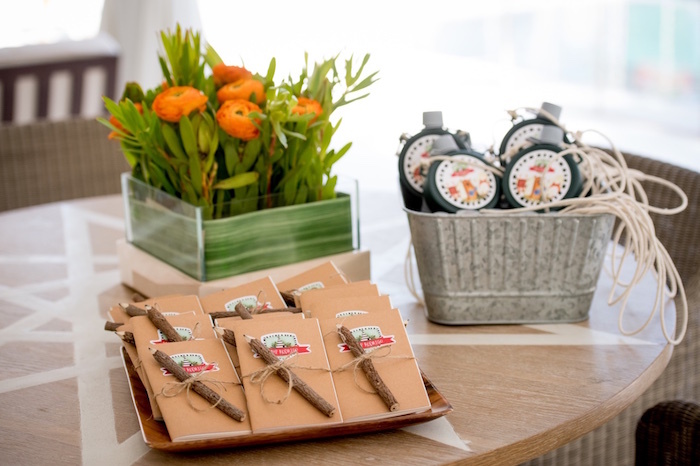 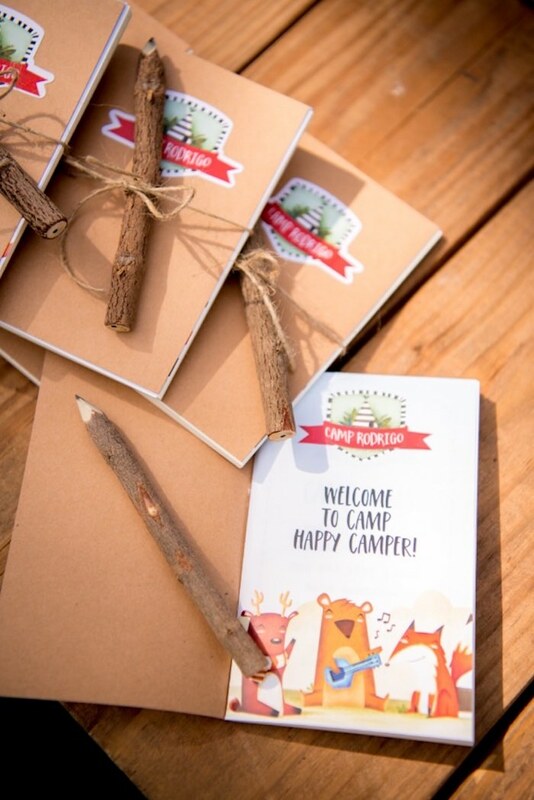 Upon arrival, we gave party guests a booklet filled with camping activities, a personalized canteen, and a scavenger hunt. 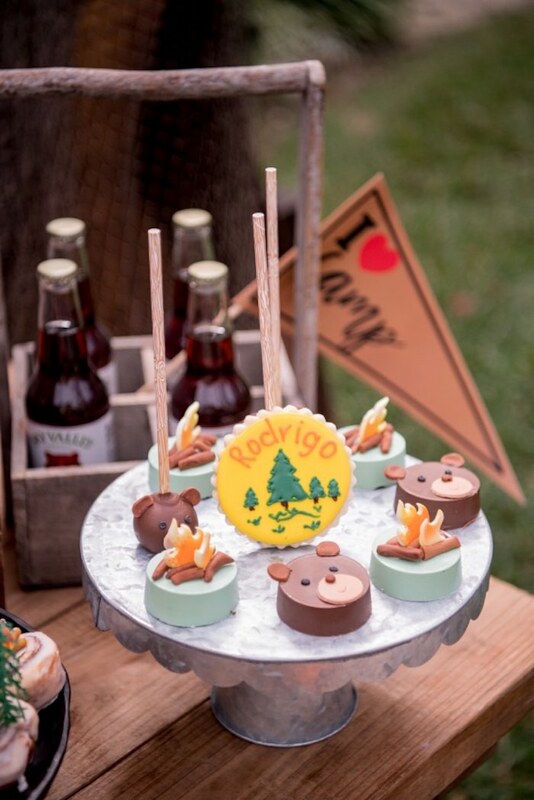 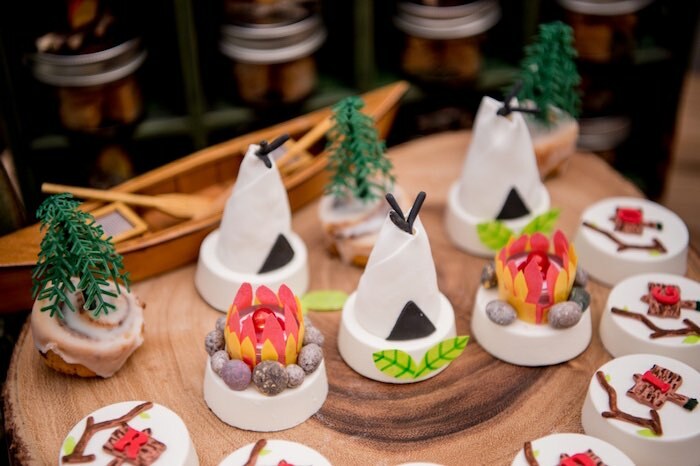 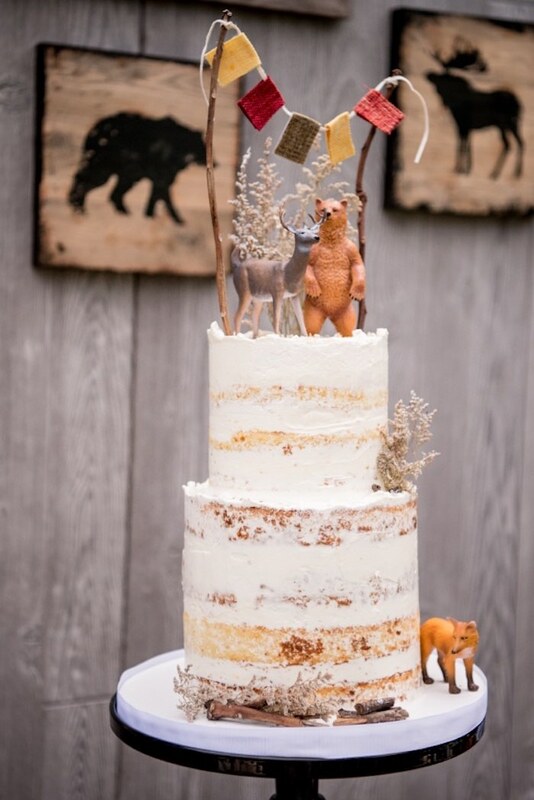 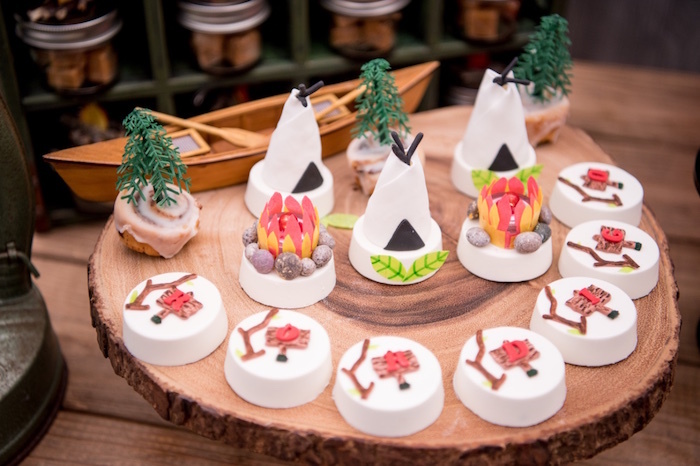 We decorated the dessert table with vintage camping decor and included bear shaped donuts, teepee Oreos, canoe cookies and smores. 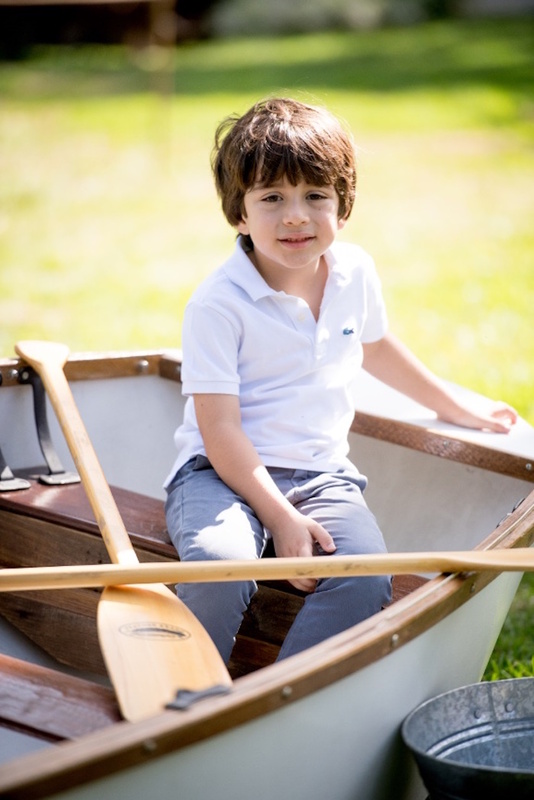 A vintage canoe from Mi Vintage was set so that kids could get the catch of the day. 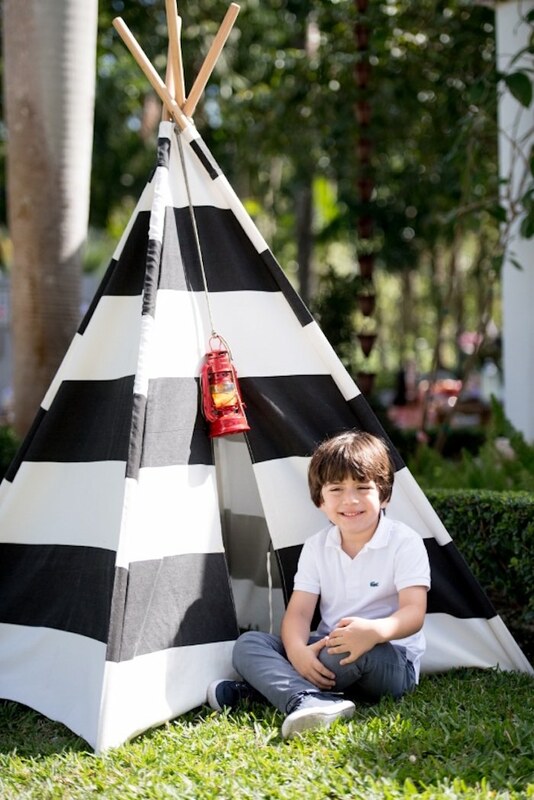 Oversized tents from Bambini Soiree hosted different arts and craft activities. 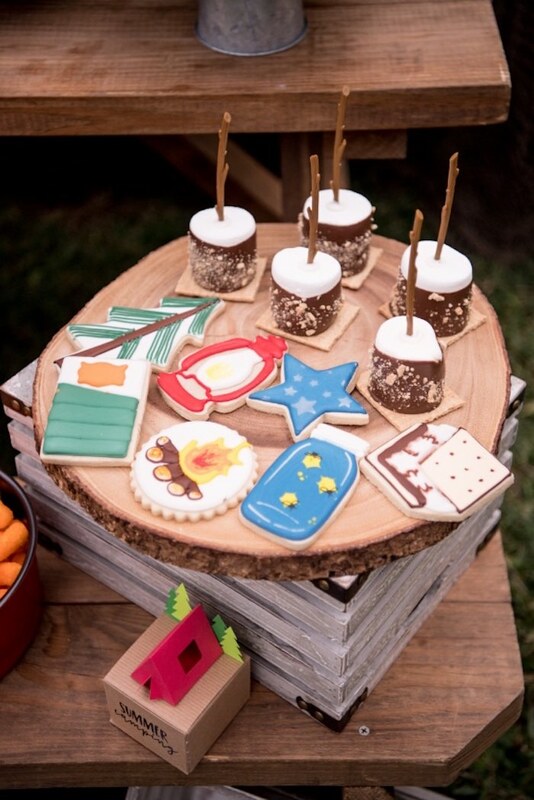 The day couldn’t be over without a campfire enjoying smores. 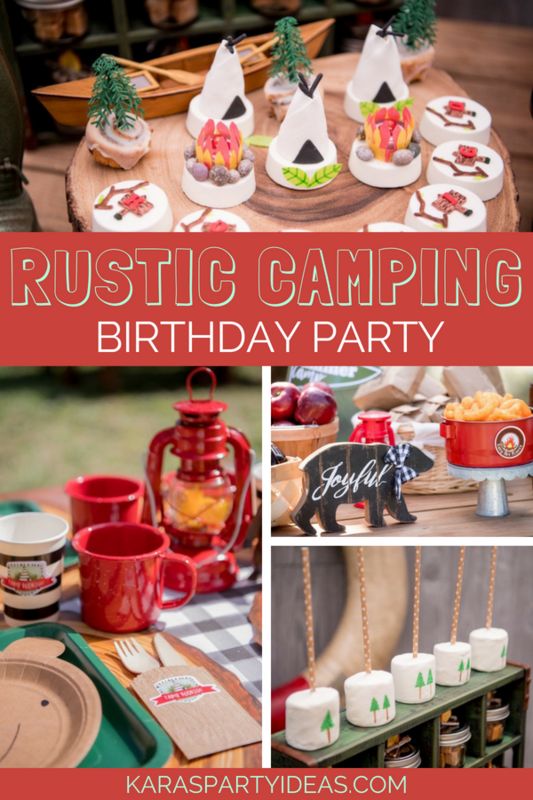 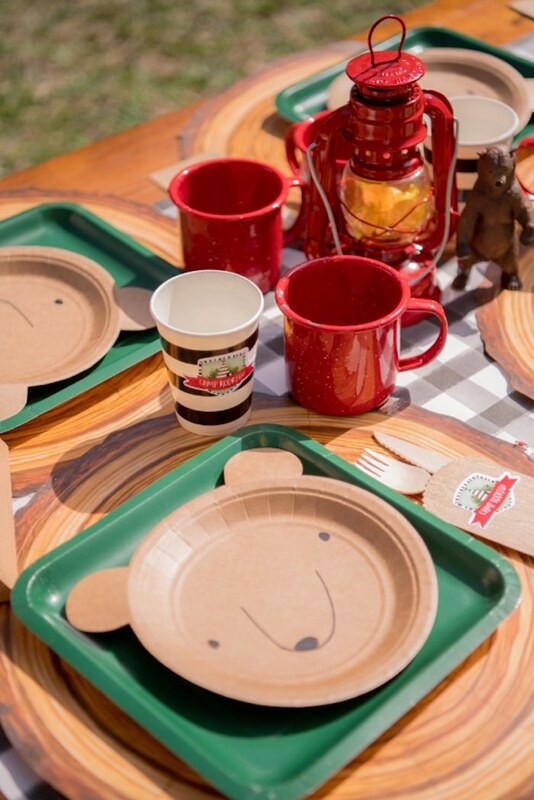 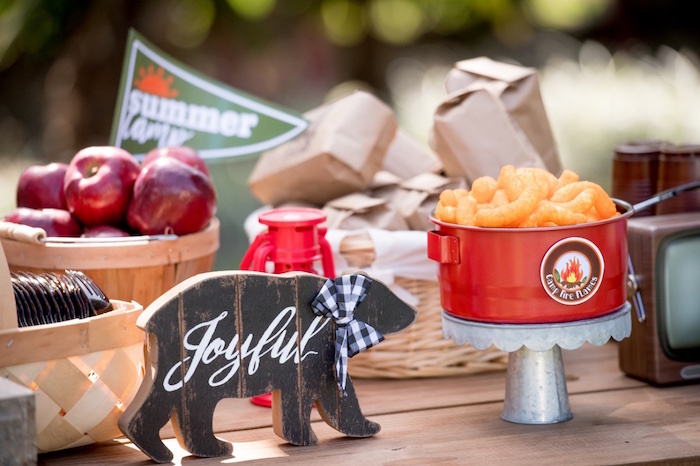 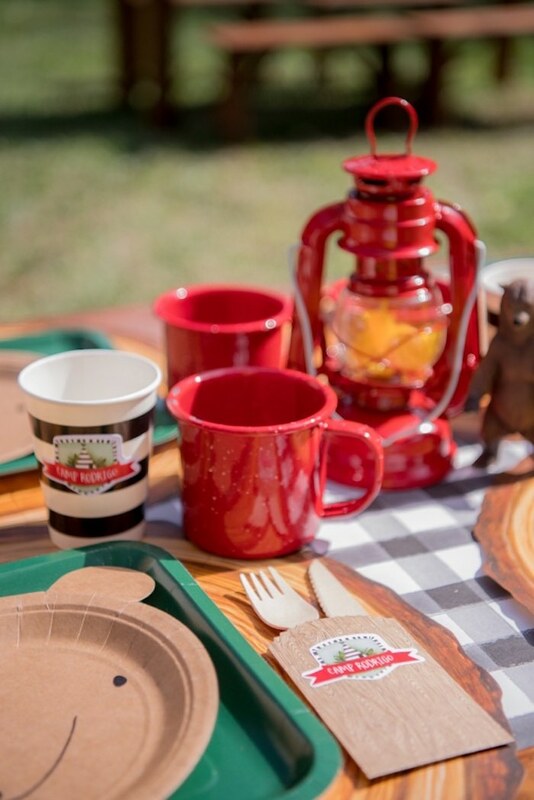 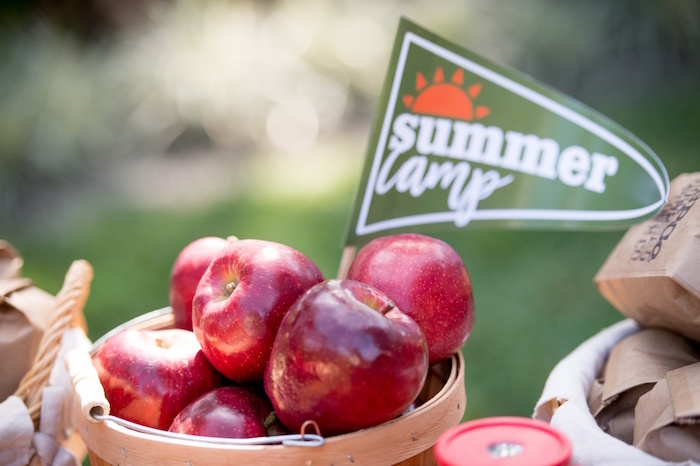 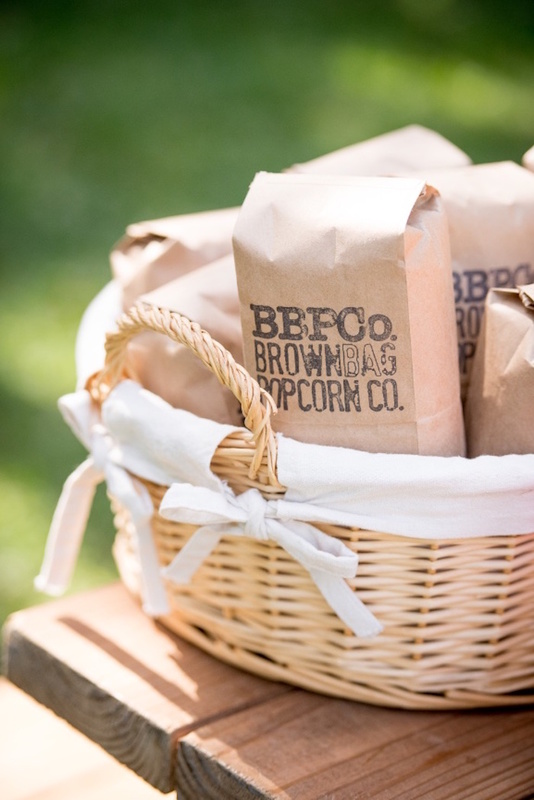 See all of our camping party ideas here!